A rotten egg smell in your shower offends your nose and makes taking a shower less than pleasant, but you can solve the problem either by yourself or with help from your plumber. Several different potential causes may be the source of the smell, but you can eliminate the causes with a few minutes of your time and minimal tools. Smells coming from a shower's drain are amplified by humidity in the shower. One possible source of the rotten egg smell is raw sewage seeping into the house's pipes. The only way to know for sure whether this is the case is to have your water tested by a plumber. While you are having the water tested, check the sulfate levels in the water, since high levels will give off a rotten egg stench. The water company will be able to tell you about the composition of the water and possibly give an explanation for the smell. 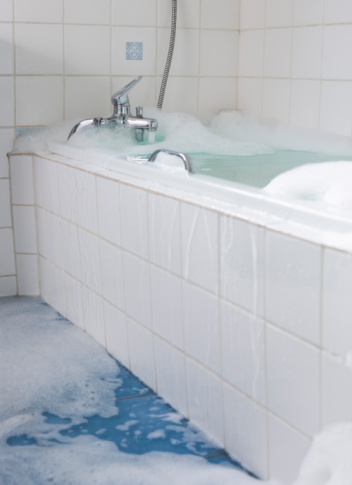 If you find that your water supply has sulfates in any quantity, the hot water heater may be what is creating the rotten egg smell in the shower. Some hot water heaters use a magnesium rod to slow down any corrosion taking place inside the water heater, extending the life of the heater. The problem arises when the sulfates combine with the magnesium to cause a chemical reaction that creates a gas that smells like rotten eggs. You may only smell the rotten egg stench in your shower because it is the only enclosed space you run large amounts of hot water in your house. A clog in a shower's drain can always lead to emitting offensive odors, even a rotten egg stench. 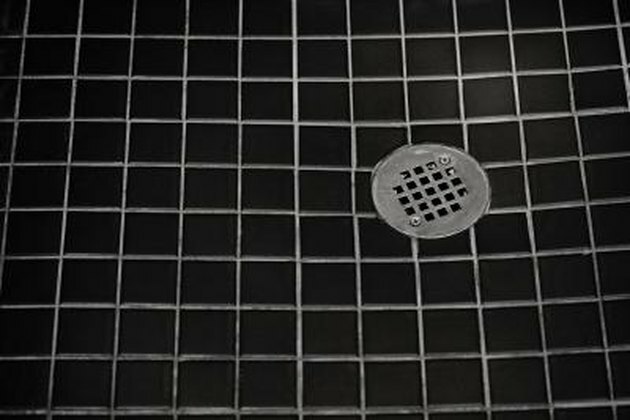 One simple way to check for clogs, other than noticing if the water drains slower than normal down the shower's drain, is to remove the shower's drain cover or stopper. With the cover or stopper removed, you may even find the clog attached to the stopper or cover. Otherwise, shine a flashlight down the drain opening so you can tell what obstructions exist. Clogs that sit high in the drain you can pull out with needle nose pliers or a wire hanger, while clogs deeper in the drain require you to used a plunger or drain auger to remove them. Over time a thin biofilm will build on the walls of the drain pipe. This biofilm is made up of biological waste that was washed down the drain, such as skin oils, that has stuck to the walls of the pipe. With the biofilm building, bacteria begins to grow, which can put off a stench similar to a rotten egg or even a sewer. Removing biofilm only takes hot water, soap and a bottle brush, which you use to scrub the walls of the pipe clean. What Would Cause an Onion Smell in a Shower Drain?